My experience with RiME pretty much boiled down to that Mr. Plow ad from The Simpsons, you know the one. Stuff happened, it was artistic, it ended, and I wasn’t sure what had just happened. That’s not to say that RiME wasn’t a good experience, it had its moments, but it still left me wondering why that particular story needed to be told in that particular way. Admittedly when it comes to games I’m a fan of narrative over pretty much anything else, and with RiME the potential behind that narrative is there, but it isn’t really fleshed out. 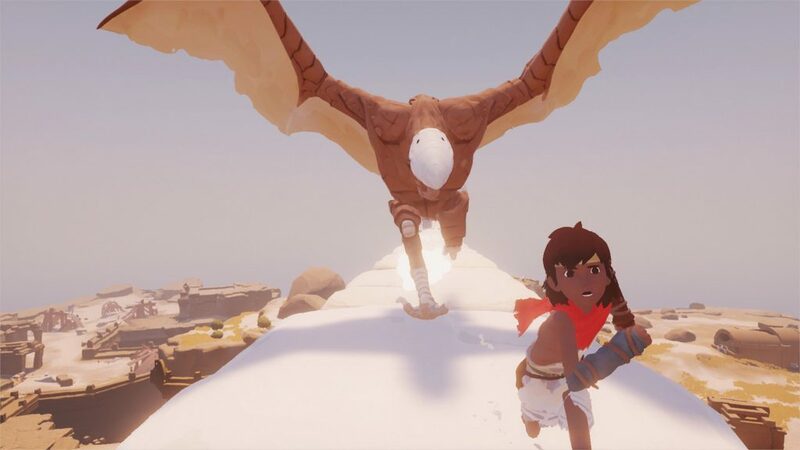 Developer Tequila Works have shown their chops previously with Journey, however RiME seems to be an ode to that title with elements of The Last Guardian, and The Witness thrown in to boot. What we end up with is a beautiful setting, emotive soundtrack and run of the mill game mechanics combining to create a rather forgettable experience. Tequila Works sure love red cloaks. Emotionally driven from the get go, you wake up as a young boy on an strange island filled with ancient ruins and puzzles aplenty. Everything is mysterious, even to the point that it’s detrimental to the game. Throwing you in with no instructions, you’re left to discover the mechanics alone, with single button prompts occasionally guiding you. Initially it was pretty fun figuring out how to progress and interact with the world, but after a while it felt like there was a vital part of the game missing. The bread and butter of gameplay is solving puzzles using sight and sound, with an emphasis on yelling at glowing orbs. 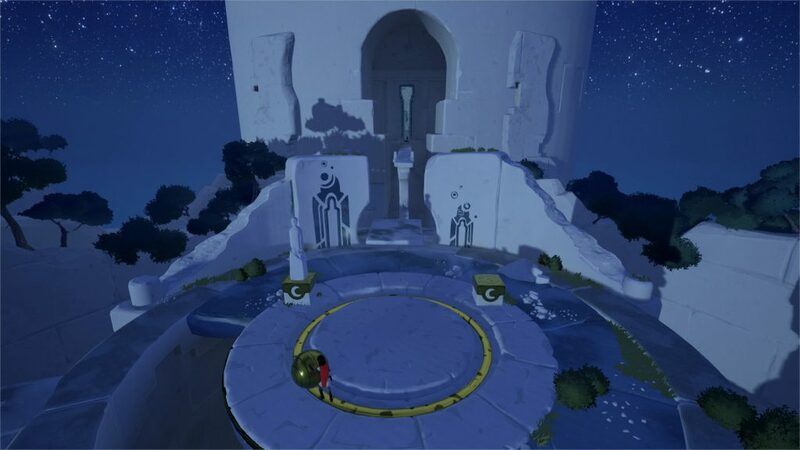 Considering there are rarely enemies in RiME, you can explore and solve these puzzles at your leisure. The thing is, the puzzles themselves aren’t all that challenging, and the variety in puzzle types is limited, so once you’ve cracked the game’s formula it becomes more of a walking sim than a puzzle game. Contrary to what my parents told me, shouting can solve your problems. Of course that’s not to say walking sims are bad, but in this instance I felt the puzzles just slowed down the progress of the already vague and surreal narrative, making it a bit of a slog in places. Little snippets of extra story can be found scattered around the game, but considering RiME is driven by visual and musical ques and the lack of these for the collectibles, I only found two or three in my entire run. Enough to know they existed, but not prominent enough to make me care. RiME is quite clearly trying to invoke an emotional response from the player, as orchestral music swells around you and paints a picture of something profound playing out. Sadly, there’s nothing beyond the soundtrack that warrants a feeling of any kind, bar a couple of brief scenes late in the game and the gut punch of a conclusion. By holding its cards so close to its chest until the final sequence, RiME’s reveal missed an opportunity. I’m certain that if the game had more concrete pockets of narrative or a reversed structure this could have played out very differently. Experience aside, the game looks amazing. The mechanics backing up the game are relatively uninspired, which is upsetting because the setting calls for some outside the box thinking. Climbing is a large part of the gameplay, with clearly designated ledges and jumps to work with. The process of doing so is a slow one and distracts you from the stunning graphics and scenery. When not climbing you’ll most likely be pushing boxes around to solve puzzles. 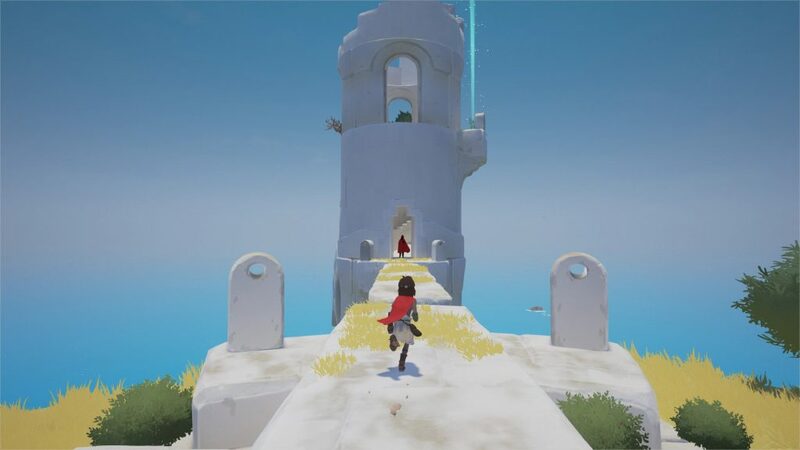 It’s simple fare that has been prominent in games for over 30 years, it works here, but it doesn’t help make the puzzles of RiME memorable. In certain areas you’ll find enemies, which rather than adding a thrilling dimension, act as a further distraction from what should have been the focal point of the game, exploration. One of the enemy types is a pterodactyl-like bird that swoops down upon you if you’re in the open too long, and considering walking around in the open is most of what you do in RiME, this really sucked. As I’ve already mentioned, a saving grace of the game is the style and setting. The game looks gorgeous with its art reminiscent of The Wind Waker and Studio Ghibli. Unfortunately, this strong point still has a massive downside, as performance issues plagued my playthrough. Framerate drops are frequent and halting, turning what should be breath taking moments into janky holiday snaps. Overall I came away from RiME feeling a little confused. On paper it should have been right up my alley, but the overall experience felt padded and lacklustre. To paraphrase Rogue One, in the end RiME made 10 hours feel like 100. 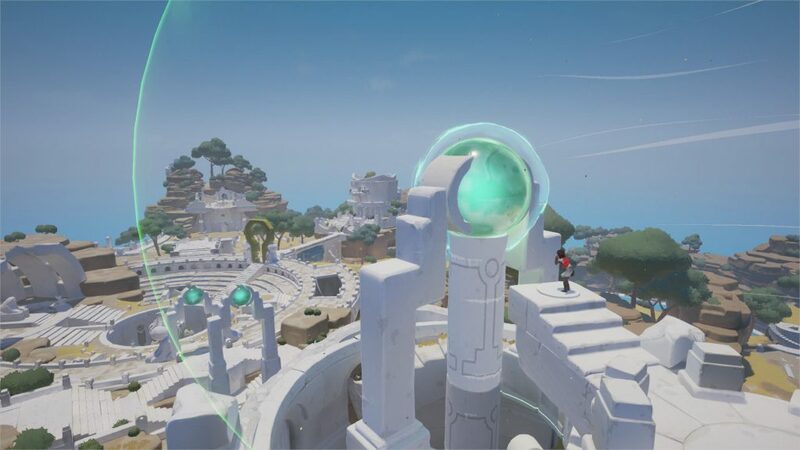 A mixed bag of a game, RiME has moments where its merits are evident, and others where it plain falls flat. With a few small tweaks we could have been looking at another Journey, but ultimately this one doesn't hit that mark. Bust some RiMes with Charlie on Twitter @clbraith and don’t forget to follow @load_screen and like us on Facebook.